Start living the rural lifestyle within easy reach of the Clarence River and Yamba’s beaches on this neat hobby farm at Lawrence. Boasting everything you need to start your very own small farm, the property consists of a three bedroom brick home, in-ground pool, ample shedding and 12 acres of open grazing land perfect for a range of hobby pursuits. 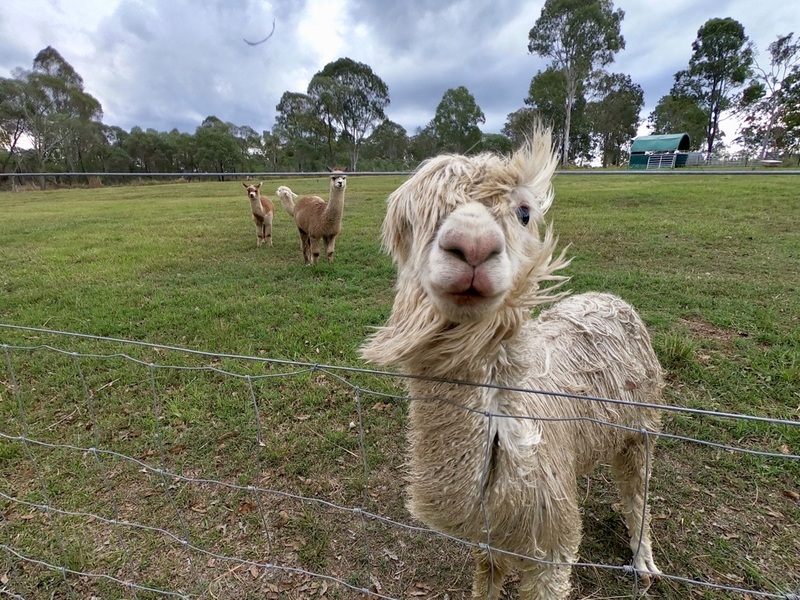 The vendors have won numerous awards with the alpacas produced on the block and the fencing is secure for a range of livestock thanks to the ring-lock netting surrounding the property. The farm also has good potential to be developed into a more intensive food production block and there are countless options for the buyer to consider should they wish to expand the land’s potential. A large dam provides good water security and the extra water goes a long way to helping maintain the garden and orchard through a dry spell. The orchard features 7 mango trees, lychees, macadamias and a mulberry tree. The house is a solid focal point of the property and boasts an open dining and living area off the kitchen. The kitchen and dining room windows overlook the pool with Brooms Head visible on the horizon, while three good sized bedrooms, including a main with en-suite and WIR, a family bathroom and laundry complete the living quarters. An oversized garage with internal access, 4 bay drive-through colourbond garage and an extra farm machinery shed ensure there is plenty of storage for the cars, tractor, boat and motorbike. Running costs are kept down by the impressive 6kwh solar system which features a Fronius inverter and feeds extra energy back to the grid. This farm will suit young families wanting to move out of town, through to older couples wanting a low maintenance downsizing option, and as such your early inspection is recommended. Properties of this nature and price tag are sold quickly, so it is likely to be a case of first in best dressed! Please watch the video to get a good overview of the block and then call our office on (02) 6643 4411 to make your interest known. Water: 4 rainwater tanks with approx 100,000L storage, large farm dam.